Ms. Smith, an MIT-trained engineer and former Google executive, had ideas and a curiosity about how things work, from a very young age. We liked how the article described projects she made as a kid. 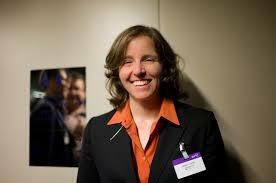 In September 2014, President Obama named Megan Smith the United States CTO in the Office of Science and Technology Policy. As U.S. CTO, Smith focuses on how technology policy and innovation can advance the future of our nation. 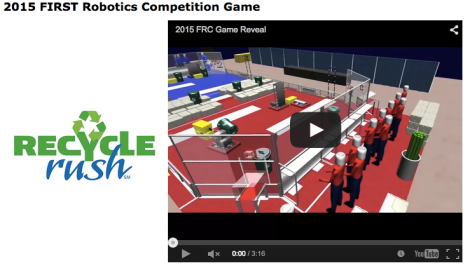 Saturday, Jan. 3rd was an exciting day for robot lovers around the world, the FIRST* Robotics competition kicked off with about 75,000 students in grades 9-12 from schools around the world participating in the program. 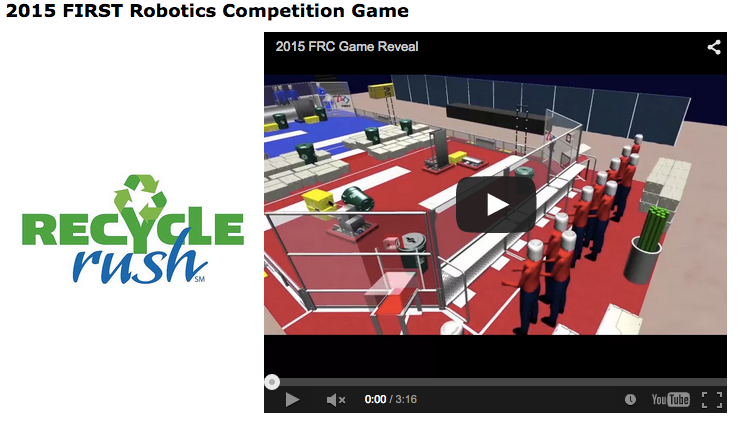 Every year the game changes, teams have to build an entirely new robot. This year’s game is called Recycle Rush. Teams have to build robots that can pick up and stack totes and recyclables containers, then place trash in those containers. Sounds like a fantastic theme to me! FIRST began in 1992. Their mission is to inspire young people to be science and technology leaders, by engaging them in exciting mentor-based programs that build science, engineering and technology skills, that inspire innovation, and that foster well-rounded life capabilities including self-confidence, communication, and leadership. FIRST has a few other programs including Junior FIRST Lego League (Grades K-3), FIRST Lego League (Grades 4-8), FIRST Tech Challenge (Grades 7-12). *FIRST is an acronym for For Inspiration and Recognition of Science and Technology. It's origins date back to the 17th century when it was about giving to those in need, but today it is just an excuse to go shopping. 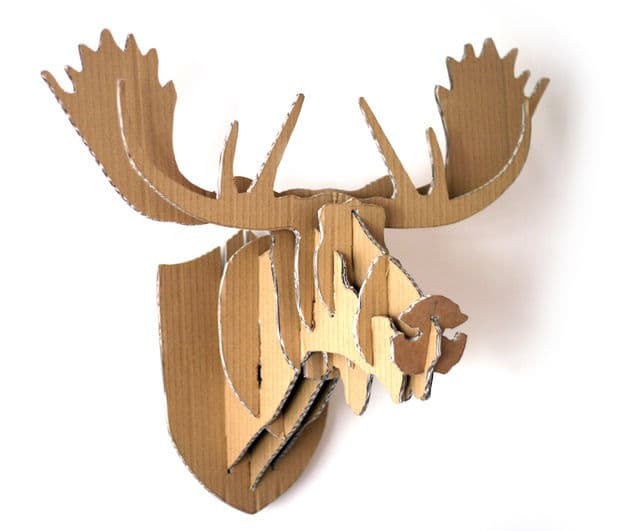 In case you are all shopped out, I bring you a list of creative things to do with leftover holiday boxes. Bored of playing the same two board games in your closet? Design your own games! This is a super fun family activity to do. You can make mini golf, pinball and so much more. 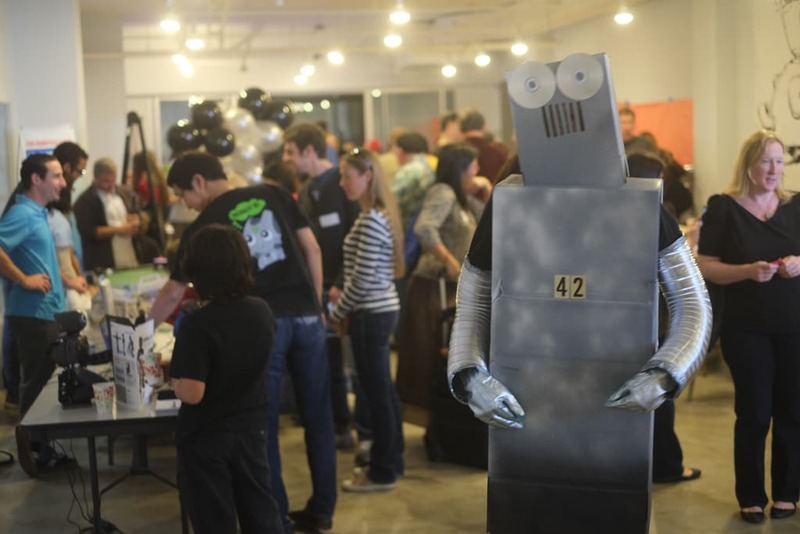 If you have never cosplayed as a robot, now is the time to do it. 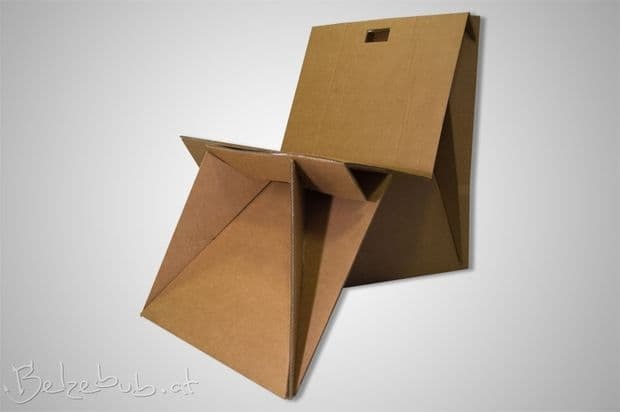 Find a super giant box that will fit over your entire body or one box for your head and one for your body. Be sure to cut out eye holes so you can see and you’re all set. You can really get into it. Did I mention that I’m Canadian? 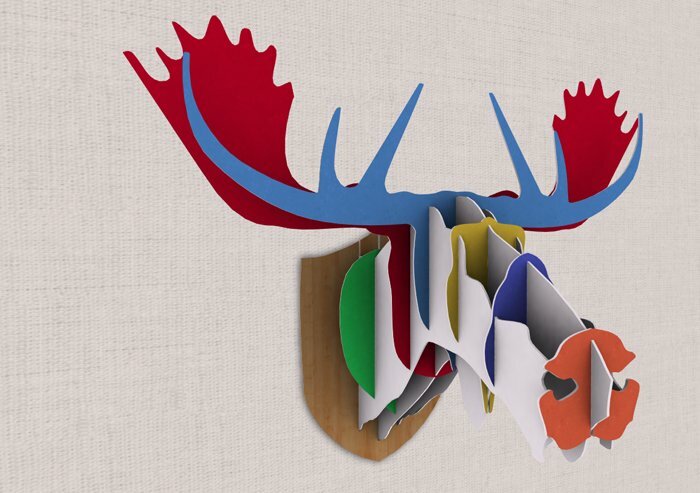 Well, then of course I have to share a project with a moose. Of course you need to build yourself a giant computer-controlled robotic arm. I am especially fond of this one because it reminds me of the Canadarm on the International Space Station. Manually flying space heroes with bicep power can get really tiring (my 6 year old tells me this all the time), so how about adding some motors to a cardboard spaceship and letting a battery power them across planet casa? We flew NASA Barbie and Niles from One Direction across my house. I don’t know why I didn’t think to add a second line and turn it into a race </hint>. 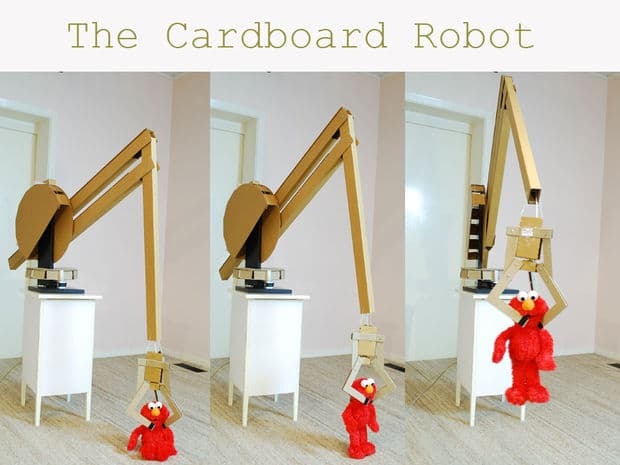 Start prepping for next year's Cardboard Challenge. Participants around the world make everything from arcades to houses to masks to fantastical creatures. 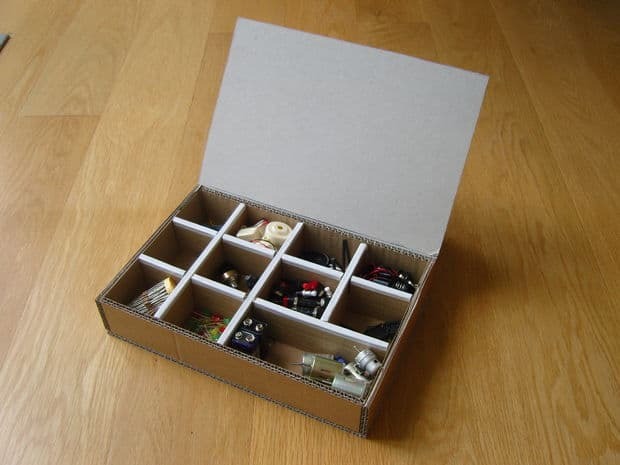 Start prototyping with your leftover holiday boxes and prepare to wow them. Feeling tired after the holidays? Make a chair, put your feet up, and relax for a little bit. 8. Set design for 'Kitten Fury"
I just watched 'Fury' so this one caught my eye. 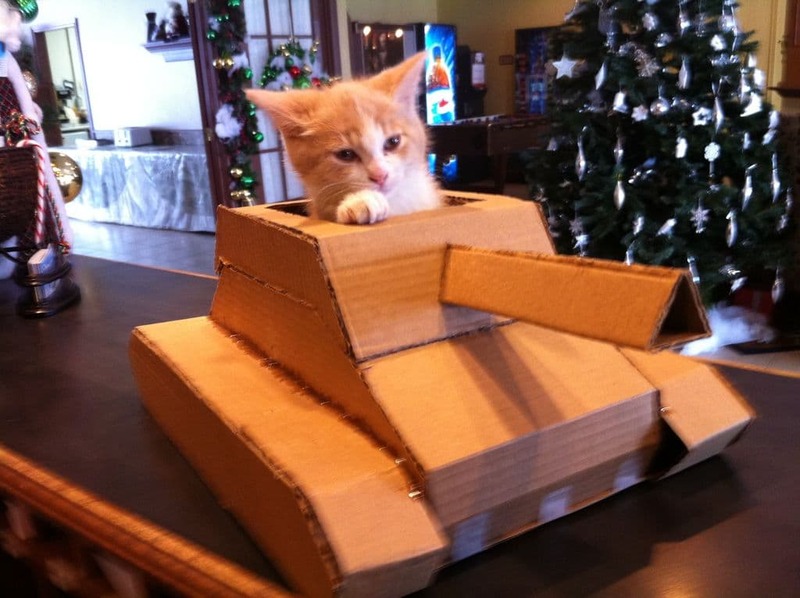 I'm not condoning anything, it's just a kitten in a cardboard tank! I’ll admit it, I paid $20 for a pre-made Steve head. Don’t be like me, make your own because Minecraft is about crafting and not consuming. I especially like how this DIY'er talks about making her gluing experiences more pleasurable. I am so with her. Glue is almost as bad to deal with as glitter. 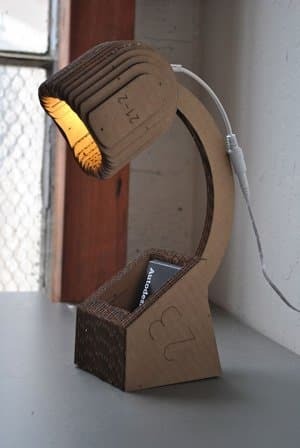 A storage container for electronics made of, yep, you guessed it, cardboard. I’m pretty excited about this one because Luz and I have been trying to think about how the boxes that we send the kits in can be integrated into the projects. Truth be told, one of my favorite past times is to watch one of the most famous cats on the internet, Maru, dive in and out of boxes. I would love to hear how you are upcycling your boxes this year. Please comment below!